The Digital Innovators’ Summit, or DIS, is an annual conference focused on the future of media and technology, where attendees can hear directly from innovators who are driving change in digital media. It is jointly hosted by FIPP, the global magazine media association, and VDZ, the association for German publishers. The 2019 DIS starts its first full day of programming today—and Canadian magazines are there! Magazines Canada and a delegation of Canadian magazine publishers are in Berlin, Germany attending the Summit today and tomorrow. The Canadian delegation is made up of magazine professionals from across the country; from titles large and small; and from consumer, business media and arts & literary publications. Delegates include representatives from Blue Ant Media, DvL Publishing, Eighteen Bridges and Reader’s Digest Canada. 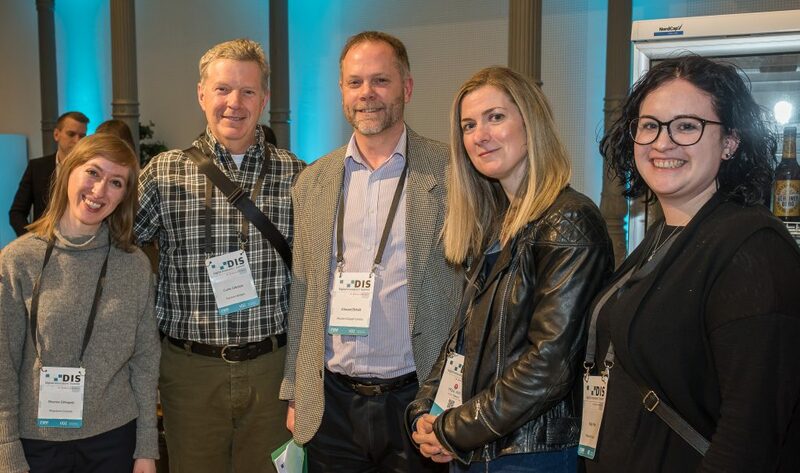 The delegation was very pleased to be the “guests of honour” at the Summit’s opening reception on March 24, where Canadian magazine professionals had the opportunity to meet and network with fellow professionals from over 35 countries. In total, over 600 international media leaders attend the annual DIS, alongside 40 international speakers from media, technology and associated industries. Follow along with the Summit on Twitter @DISummit and #DISummit. Visit innovators-summit.com to view the 2019 DIS agenda, see who is speaking and find out what else is happening at the Summit. We would like to thank Canadian Heritage and Ontario Creates for supporting the Canadian delegation to the Congress.